Public leadership, politics to be more precise, has become one of the most daunting terrains a Christian can choose to travel. Yet, this is not the time to shy away from it. This is especially true for women. Currently, women represent 24 per cent of federal Liberal Party parliamentarians. This number is strikingly similar to 20 years ago when John Howard first took office with 21 per cent female representation in his government. The leaders we admire and celebrate are often unaware of the global impact they will continue to have centuries later. They, like many of us, were simply living their lives. One such leader is Esther. Esther’s early life, on the surface, did not point to a future queen. She was a Jewish orphan being raised by her cousin, Mordecai. The story of Esther is intertwined with the departure of Queen Vashti. I often ponder what could have caused Vashti to disobey her husband and be deposed. However, this is when I am reminded that when God needs to move, God moves. Period! I call it the “God-factor,” usually unforeseen and dramatic in nature. Our task is to get on with the job at hand and be still and know God is God – no matter what. Haman was the political power broker of his time. He used his position and political influence to pass a dangerous law, with authorisation from King Xerxes. He was the king’s chief of staff. My sympathy goes to King Xerxes – sometimes our politicians are used by other people, often those close to them, to pass laws or take actions that they may not know all the consequences of. The impending threat could not be ignored. 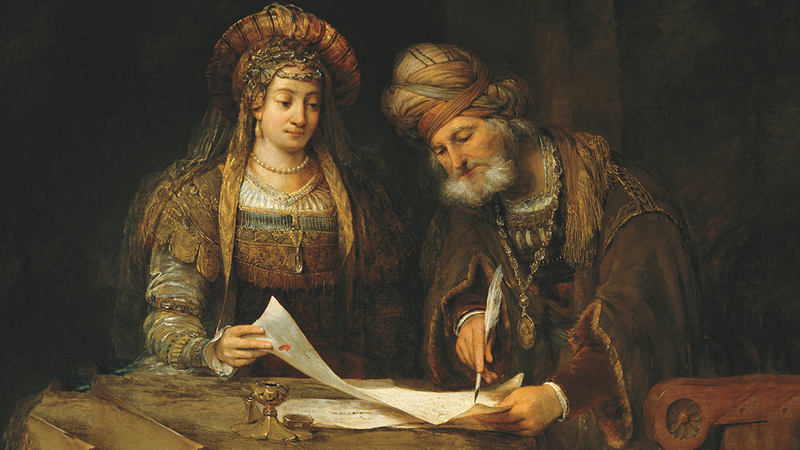 Mordecai persuaded Esther to go before the king and plead for her people. Esther was scared of the plan and with good reason; others had died trying to initiate a conversation with the king by going to the inner court without being called for. Mordecai’s response to Esther’s fear activates a resolve in her to act. Mordecai is confident that God will save them but, if Esther does nothing, she and her future generation will be destroyed. At the moment Esther stepped into the most dangerous position – the inner court – her husband was there. His mood was a longing and loving one – as a husband who has not seen his wife for 30 days. Esther held her emotions and mental anguish in check. That allowed her to build a rapport with the king and his chief of staff, Haman – not once but twice. This is what happens when God orders our steps; we find favour in the most unlikely places at the most unlikely time. When we step out of our comfort zones, God’s protection will show up, wisdom and courage will be topped up and faith will replace fear. The ultimate result of Esther’s courage was serving God’s will to protect the lineage of Jesus, so he could save us – humanity. Could the Liberal Party and the nation be missing out on those golden-miraculous-God moments, by not supporting a policy that encourages women to pursue a career in politics? Since Federation in 1901, Australia has had 30 prime ministers; only one has been a woman – worth noting she was not a Liberal and she snatched the job from a bloke. God entrusts both men and women with divine purpose that, when activated, the entire society is free and prosperous. If Esther had missed her destiny, the trajectory of her people would have been vastly different. It is time to take another look at our policies and ask the question: Are we getting the results we want? Diversity and inclusion is a must for a well-balanced nation. Could we be missing out on God’s moment?